Incorrect Smart Meter Readings: What is the True Cause? If you received an abnormally high power bill, what would you think is the cause? For many Kiwis, the reliability of their smart meters is questioned after they receive expensive power bills. But in many cases, the smart meter is actually not the problem in the end. Wondering what is to blame for these inaccurate readings? We have the details for you here! Jackie Tangata is one customer who, even after changing energy suppliers, was experiencing abnormally high bills. Independent tests confirmed that her meter was accurate. Authorities suggested that the problem may instead stem from an electrical item in her home. During the summer, Bradley Tuhi from Christchurch reported his concerns about a potentially faulty smart meter to his energy supplier Genesis. The company initially denied his allegation but eventually got the meter tested. The investigation resulted in his meter being declared faulty, consequently explaining why the customer had been overcharged by 66 per cent. A refund and further discount was offered to the customer. Other customer complaints about high energy bills are a result of computer problems. Hanmer Springs’ resident Gemma Brown was told that her expensive August bill was due to ineffective communication between her smart meter and the energy company’s main computer. According to Utilities Disputes, of the approximately 70-80 smart meter complaints that are investigated yearly, less than five of them involve a faulty meter. Instead, most complaints stem from customers not completely understanding their electricity use. Vector AMS, a company that owns/manages 1.3 million smart meters throughout New Zealand, reports that problems with the meters are very rare. Tests conducted on suspected-faulty units are completed by a certified testing company. These meters are stored unused for another six months in case further testing is necessary. 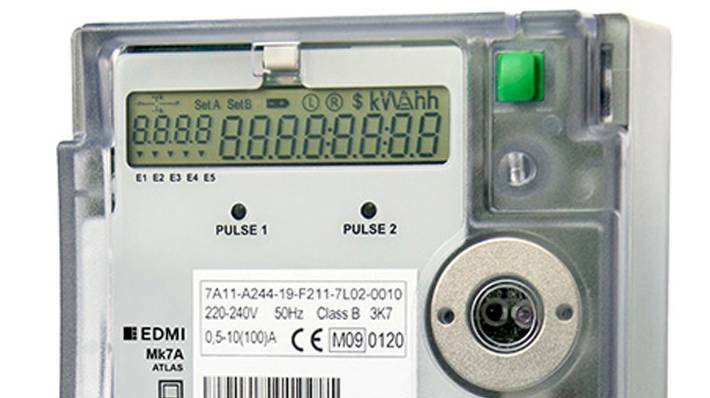 All electricity meters must comply with the Electricity Industry Participation Code and meet international standards. Whether your smart meter has been problematic or not lately, it’s always a good idea to scrutinize your power bill. Regularly checking to see if you’re receiving the best rate on your household’s energy costs can save you money! Shop around other energy companies quickly, efficiently and easily using Switchme’s two-step online process. Contact us today for more details about how to save more money on your energy bill! You’re probably already familiar with what an electricity meter is, but do you know about a smart meter? This type of meter not only provides your electricity retailer with details of your household’s electricity usage, but it does so at regular half hour intervals. Doing so means that your electricity company no longer needs to provide an estimate of your household’s usage by referring to historical data! Instead, they are provided with the exact amount of power each month. With a smart meter, more accurate invoices are provided each and every month! The metering equipment provider transfers your usage details, as well as your Installation Control Point (ICP) number. Instead of using your address, the ICP identifies your connection point as a reference to your location on the grid network. When your data is received by your retailer, your ICP number is matched to your account details. Your electricity usage is then easily recorded on your account. There’s no need to worry about how your data’s protected when using a smart meter! Not only is the data encrypted on its way to the retailer using the ICP number, but the Privacy Act 1993 and The Electricity Industry Participation Code 2010 provide extra security. Plus, meter data is only ever released to the authorized person on the account. Because smart meters use a frequency that’s lower than a cell phone or microwave, the amount of radiation emitted is well below New Zealand limits. The signal is sent at only short periods of time and since smart meters are normally located outside your home, even less exposure occurs. Interested in being able to see exactly how much power is being consumed in your household? Some electricity companies offer online tools that enable smart meter users to track their household’s power consumption. This provides a great way to be able to implement cost-saving strategies for energy consumption! Contact Switchme to Save Even More on Your Energy Bill! Besides using a smart meter, have you considered changing energy suppliers to see if a lower-cost option is available? If so,Switchme makes researching these options easy! As New Zealand’s largest non-government funded energy switching site, Switchme can be trusted to find you the best deal on your energy bill. By processing energy comparisons and giving free, independent advice, we help customers all the time save money. Contact us today to learn how you, too, can start saving money on your energy costs!? There have been many articles written about smart electricity meters - some supporting the increase in technological function and some claiming they are a bad idea. As a company that compares all New Zealand energy retailers and their differing methods of utilising smart meter technology, we can set the record straight. Firstly they save money on meter readers. This means that the meter reader won't be visiting your house anymore… Instead your smart meter sends a signal to a metering company which then forwards this data to your electricity retailer. This ensures that the data sent is always accurate and free from human error. What's more, the retailers can now have access to meter data at any time - not just once a month when the reader visits. Having access to your meter reading at any time means that retailers can start offering special deals at different times, even incentives for saving electricity at peak load times. It is estimated that 5% of all homes in New Zealand are charged the wrong electricity tariff. This is because the national database (the Electricity Registry) doesn’t have the right information about your meter type. Installing smart meters means the electricity retailers check your meter type against the national database. Unfortunately for some people this results in an increase in electricity costs. Electricity retailers have offered to refund any overcharged tariffs and will write off any debt where the customer has been undercharged. A number of older houses have electricity meters on the inside. This means that you had to send your Meter Reader a key, or worse, you’d have most bills generated based on estimates. Installing smart meters means that your bills are more accurate, and your meter reader isn’t going to turn up unannounced. Don't smart meters increase your usage? Non-smart meters are mechanical and naturally slow with age meaning that you get a cheaper bill. Smart meters are accurate and a newly installed smart meter may read higher by comparison to the slower meter. Aren't smart meters are bad for your health? While conclusive studies haven't been conducted, a smart meter using radio or cell technology transmits no more than a modern smart phone. Different people will have different opinions, but there is no imminent health risk associated with having a smart meter. Are they an invasion of privacy? No. Retailers are not using your data for any other reason than to generate your bill. The smart meter is not "smart" enough to know what appliances or rooms are operating, just a number of units used for the period. Smart meters are a good thing - they are accurate, complaint with current Energy Industry specifications and give an increased amount of money-saving billing options to consumers.